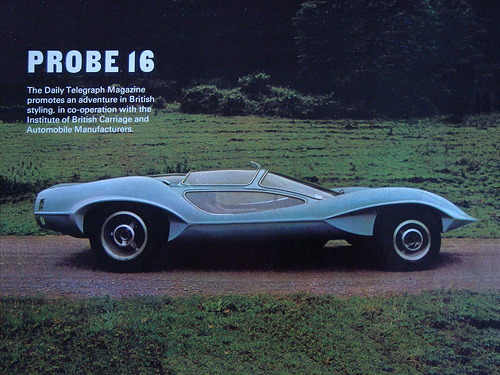 Back in the late 1960’s car designers were all about extreme styling and pushing the boundaries, one such example is the Probe 16 built by the Adam’s brothers (the same people behind the Marcos Mantis XP) which was exhibited at the London Motor Show in 1969. 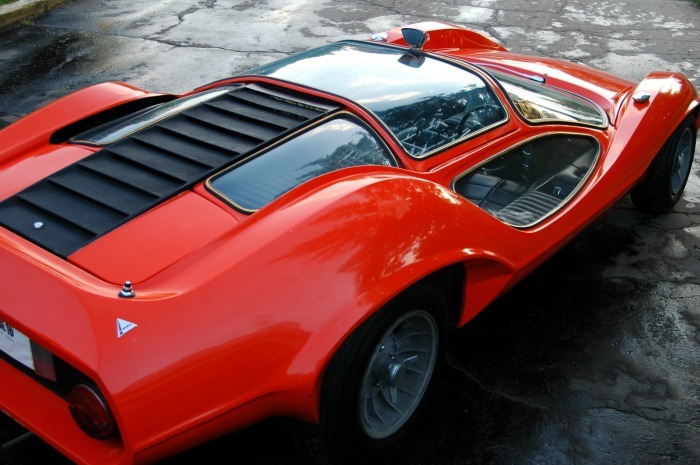 Extreme styling is all over this car from its minute 34” high roof line (that’s 6” lower that the Ford GT40!!!!!!) to its electric sliding roof to gain entry and mid mounted tuned Austin 1.8ltr engine. Don’t you just love the external roof mounted rear view mirror. 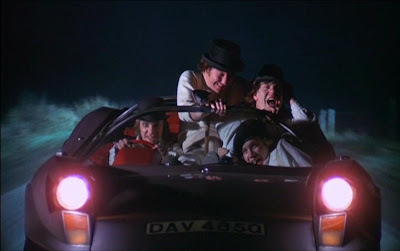 This car was immortalised in Stanley Kubrick’s film A Clockwork Orange as the Durango 95.